A Premiere Las Vegas Dentist & Dental Practice! Las Vegas dentist Dr. Afshin Azimi is passionate about people and he understands how to make them look and feel beautiful with the various cosmetic dentistry procedures he provides here at his dentist office in Las Vegas. After studying biochemistry at UCLA, he then went on to receive his Degree in Dentistry from USC before moving to Las Vegas. 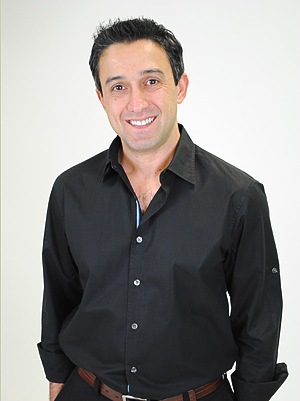 In addition to becoming an expert in the field of general, cosmetic, and restorative dentistry, Dr. Azimi extensively studied dental implant surgery, osseointegration, and advanced bone grafting and socket/sinus lift techniques at the California Implant Institute. He also instructs and mentors dentists at the Esthetic Professionals Dental Education Center in Southern California.